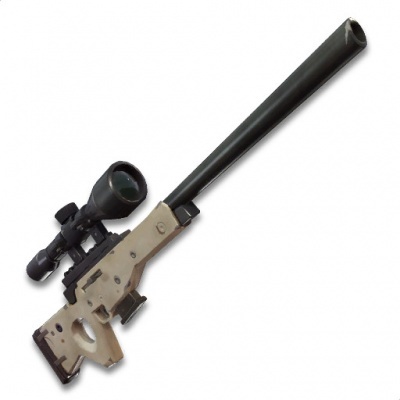 A render of a Bolt-Action Sniper Rifle in Fortnite BR. The Bolt-Action Sniper Rifle is a Weapon in Fortnite Battle Royale. A powerful bolt-action sniper rifle based on the AWP Sniper Rifle. 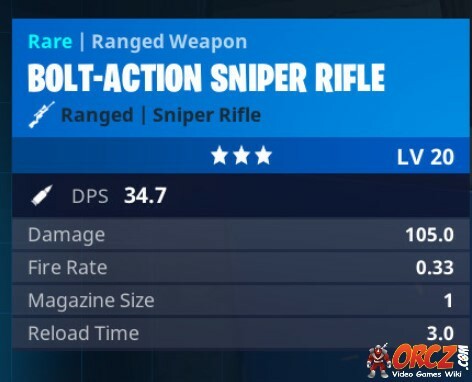 The Bolt-Action Sniper does a lot more damage than the Semi-Auto Sniper Rifle, but has a low fire rate since you need to reload it after each bullet. So if you're good with aiming, use the Bolt-Action Sniper Rifle. If you are not confident about your aim, go with the Semi-Auto Sniper Rifle. Remember, all sniper rifles require you to "lead" your shots, or shoot ahead of your target. This page was last modified on 7 March 2019, at 10:59. Content is available under Creative Commons Attribution Non-Commercial Share Alike unless otherwise noted.